In February 2019, SMU Libraries uploaded 652 items into SMU Libraries Digital Collections. 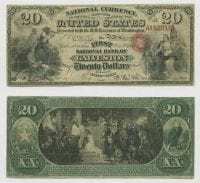 United States $20.00 (twenty dollars) national currency, Oct. 2, 1865, DeGolyer Library, SMU. 82 bank notes ca. 1865-1929 added to the Rowe-Barr Collection of Texas Currency as part of the TexTreasures FY2019 grant program, sponsored by the Texas State Library and Archives Commission and funded by the Institute of Museum and Library Services. Several bank notes in this group originate from Galveston banks, which were among the first nationally chartered banks operating in Texas after the end of the U.S. Civil War. Of special note is this note dated October 2, 1865, from The First National Bank of Galveston, which was established on September 22, 1865. This set also includes notes from banks in other Texas cities, including Fort Worth, Franklin, Freeport, Frisco, Frost, Gainesville, Garland, Gatesville, George West, Georgetown, Giddings, Gilmer, Goldthwaite, Goliad, Gonzales, Gordon, Gorman, Graham, Granbury, Grand Saline, Grandview, Granger, Grapevine, Greenville, Gregory, Groesbeck, Groveton, Hallettsville, Hamilton, Hamlin, and Haskell. Pelican Dune, ca. 1933 by Brett Weston, DeGolyer Library, SMU. 48 contemporary photographs, 1933-2015. These images, created by various 20th century artists and photographers, show views in Mexico, California, Alaska, Hawaii, and more, and include various photography types including gelatin silver prints, mixed media, and collages. 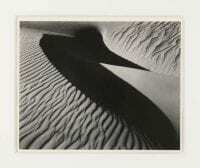 Among these photographs is a striking image of Pelican Dune in California, taken by Brett Weston ca. 1933. 305 student newspapers from 1991, 1992, and 1993, to Southern Methodist University Student Newspapers. Of particular note among the many stories featured in these issues is reporting on General Schwarzkopf coming to campus to lecture, the collapse of the Soviet Union, and President George H.W. Bush delivering the SMU convocation address in 1992. Porfirio Diaz, by Dumas, ca. 1910-1920, DeGolyer Library, SMU. 98 images, ca. 1866-1920, from the Elmer and Diane Powell Collection on Mexico and the Mexican Revolution. These images comprise photographs, postcards, and memorabilia focusing on Porfirio Diaz, his family, and the Centennial of Mexico’s independence. Highlights include a caricature of Porfirio Diaz by an artist named Dumas, several colorful cigarette cards and tobacco felts, postcards of Porfirio Diaz’s meeting with William Howard Taft, and an embroidered postcard of the Mexican Flag. 6 negatives, 1938, from the Robert Yarnall Richie Collection. They were used for an article about Celotex and how the company used bagasse (the fibrous residue that remains after sugar cane stalks are crushed to utilize their juice) to produce insulation from the milling process. The photographs were documented in Fortune Magazine, February, 1939. Bifolium of indulgences, 1498, Bridwell Library, SMU. Added to the Fifteenth-Century Printed Books digital collection is a bifolium of indulgences dated 1498. 2 negatives, ca. 1925-1930s, from the Norman Macht Baseball Research Collection. These images feature Joe Aulbach, a baseball player in the early decades of the 20th century. 6 volumes have been added to the Southern Methodist University Rotunda Yearbooks collection. These yearbooks span the years 2013 through 2018. [Dallas Times Herald Reporters at Work] by Andy Hanson, ca. 1970s-1980s, DeGolyer Library, SMU. 47 images by Andy Hanson, 1967-1988, from the Collection of Photographs by Andy Hanson. These photographs primarily depict the staff, editors, and other associates of the Dallas Times Herald, for which Andy Hanson worked from 1960 until the newspaper’s closure in 1990. 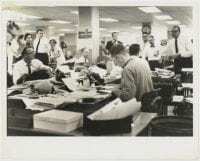 Among the images are portrait photographs, group pictures, and photographs of the Dallas Times Herald staff at work in the newsroom. This entry was posted in Andy Hanson, Bridwell exhibition, currency, Dallas, Fifteenth Century Printed Books, Mexican Revolution, Robert Yarnall Richie, SMU history, TexTreasures2019, Wilgus Collection. Bookmark the permalink.